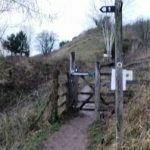 In the first of what we hope will be a series of articles about walks in and around the village, we have put together a walk from Pant to Llanymynech, taking in Llanymynech Rocks and other local places of interest. As all of us who live here know, this is a lovely part of the country with lots of great options for walking routes. The walk we have prepared takes in two countries, four pubs, Offa’s Dyke Way and the Montgomery Canal! 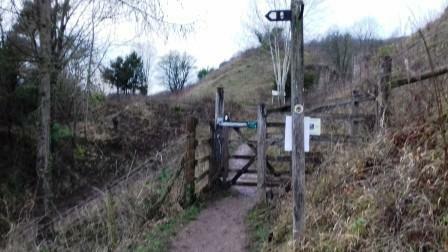 This walk is a superb way of exploring the Parish of Llanymynech and Pant whilst at the same time seeing some of the natural beauty of the area, its industrial heritage and local amenities. The walk starts at The Cross Guns Inn in Pant and is a distance of about three to five miles, depending on detours. As with all walks, please ensure you are fully equipped before you set off, as this is a guide only and some sections are off the footpath. Click here to see the walk in full. We hope to add more walks to the Pant Today website over the coming months and we would really welcome any suggestions. If you have an idea for a walk you would like us to try, or if you have put together your own route, please do contact us. We can’t guarantee that all walks will make it onto the website, but we will do our best to include as many as possible.